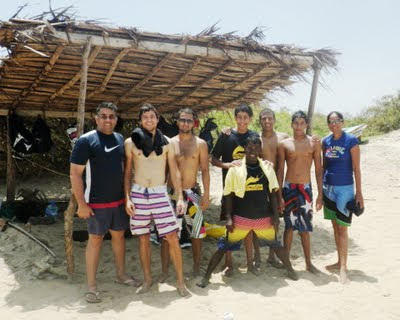 KITESURFING SRI LANKA: Family Affair - Kiting Cabraals!!! Family Affair - Kiting Cabraals!!! The Cabraals were one cool family. Chilled and high on life they took onto the sport quite easily. Suvan one of Sri Lanka's fine swimmers along with his brother Hemaan seemed to already have the kitesurfing genes in them while Shaneez their mother also enthusiastically progressed to the board starts! Cousin Mark also was eager to progress onto the boards unfortunately the winds died on us the last day. This is the sport and what makes it all the more beautiful. Nature and relying on the elements to propel us on the water. 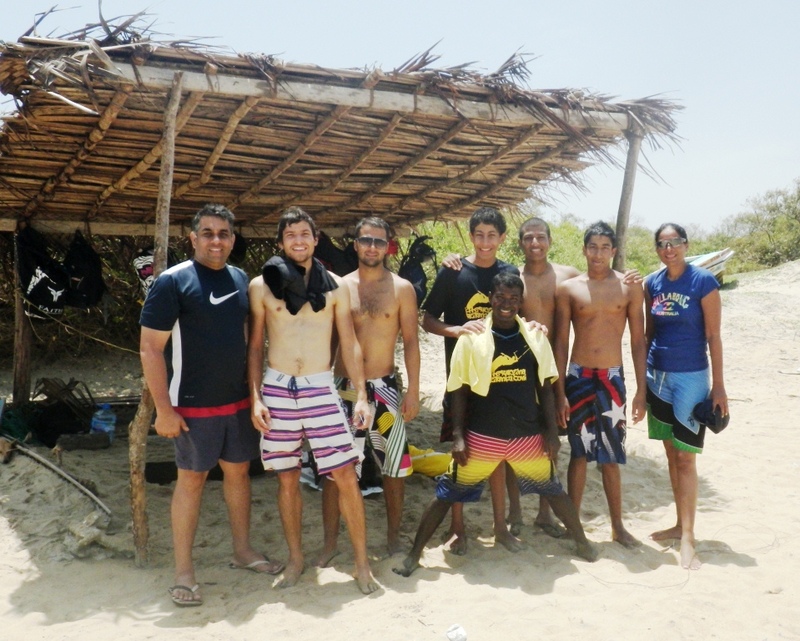 Look forward to the next sessions in Kalpitiya. Failing which, Suvan, I am sure you can try yours hands at the sport in India! 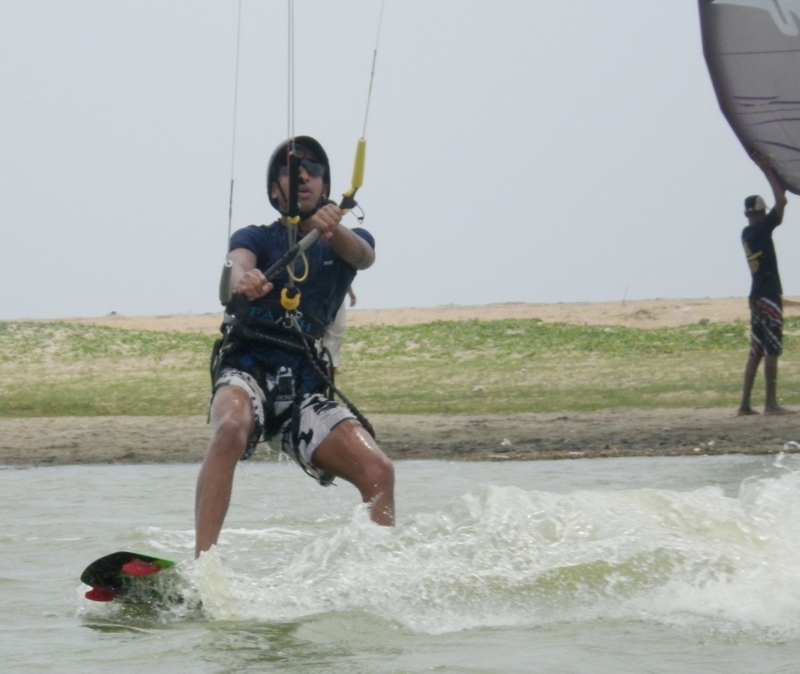 Perhaps the first Sri Lankan kiter to kite on the waters of India!!! 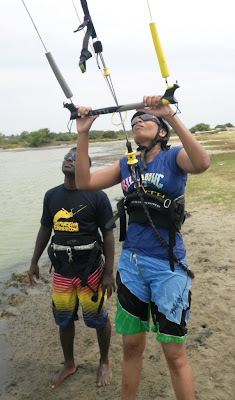 As a mum of tow active boys who love the outdoors and water activities I have always had to played it safe and keep them away from extremesports. However with Dilsiri he put me at ease right from the start with his explanation of safety and its importance. 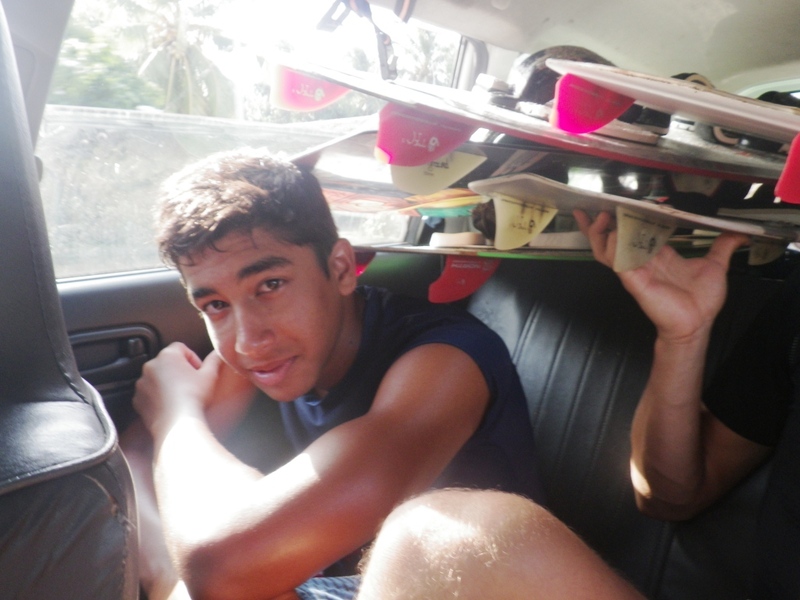 During lessons he had time for all of us and I was surprised howquickly the boys moved on and Suvan was on the board. Suvan Cabraal and Shanez Cabraal. Loaded up Kitemobile with no room to move the head!